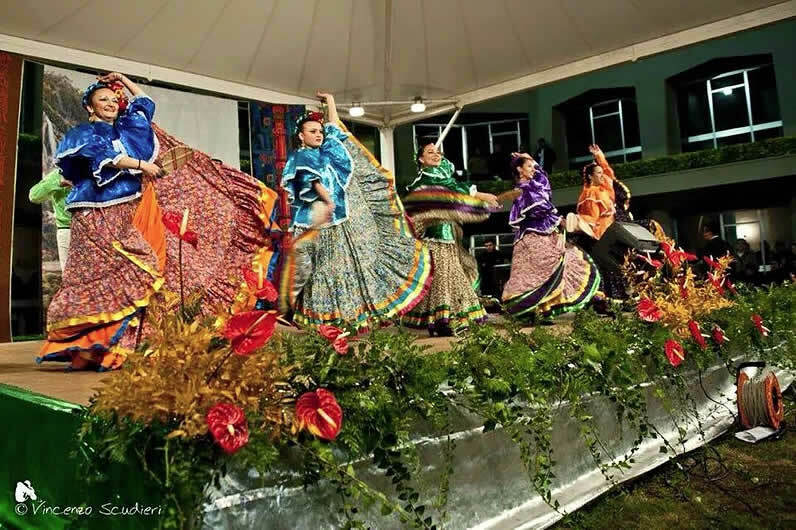 The Group was founded on 7 April 1977 by Susana Moraleda, Mexican dancer, within the framework of a well-known international organization headquartered in Rome, Italy, with the only objective of spreading Mexican folklore in Italy and in Europe. The Group has no profit purposes. Part of the costumes were kindly donated by the wives of former presidents of the Mexican Republic: Ms. López Portillo and Ms.Esther Zuno de Echeverría, through the intervention of a former Mexican Ambassador to Italy, H.E. Augusto Gómez Villanueva. The rest of the costumes were bought in Mexico by Susana and some of her dancers. At present the Group possesses around 200 costumes of 19 different types. 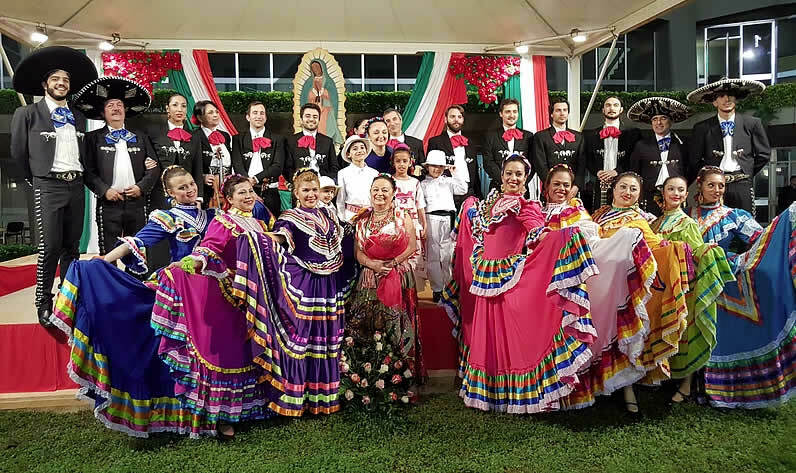 When the year 1976 was coming to an end, an Embassy officer asked Susana if she could organize a show of traditional Mexican dances for a welcome party which was being planned for the new Mexican ambassador to Rome. This officer knew that Susana had studied Mexican dance since she was a child, and that she had been a dancer in a professional group of the Mexican Social Security Institute in Mexico City. He offered to pay for some of the costumes which had to be made ad hoc in Rome, and Susana had to find people who would be willing to learn some Mexican dances. She found 12 Mexican students who were living in Rome temporarily and trained them. After three months, they were ready to perform in public. Thanks to the fact that Susana worked in an international organization, she managed to get the authorizations in order to use one of the big rooms in the building as a dance studio, under the condition that she officially created the Group under the social and cultural association of the organization. After the show in the Mexican Embassy, the Group performed for the Mexican College (residence for Mexican priests in Rome). The Group was later called in to collaborate with the Mexican Tourism Bureau in their programmes for promoting tourism to Mexico, and started to give shows in several parts of Italy. A number of show agents started to show interest in the Group and to propose performances. After various shows, a number of Italians and other foreigners joined the Group. 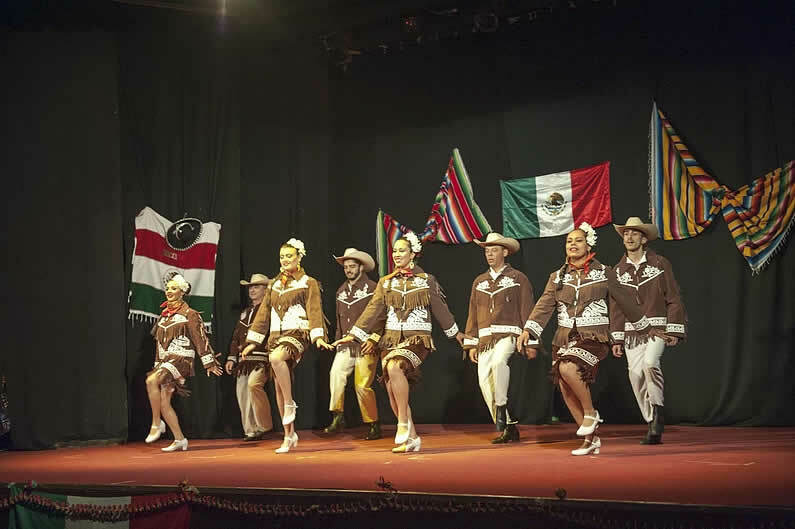 In 1982 the Mexican Embassy in Rome proposed the creation of a Mexican dance shool in Rome, under their aegis, and under Susana’s direction, but the project didn’t go through for lack of subsidies. In 1985, after the tremendous earthquake which hit Mexico, Susana, together with the Caritas Organization of Rome and the International Red Cross, organized two charity shows in order to collect money to be sent to Mexico. Around $40,000 Dollars were collected and sent to Mexico through these organizations. The Group’s activities have involved Susana’s family: her husband Nino Dragotto, Italian, is the President of the Group as well as administrator and photographer; her daughter Marisol, is the prima ballerina and Assistant Director; her son Luis played the guitar and the vihuela in the first Mariachi created within the Group, and he later founded the second Mariachi. Both mariachis now work independently. A third mariachi (a mini-mariachi) appears in the scene, already formed, and composed of 3 Venezuelan musicians with whom the Ballet performs in various shows. The fourth mariachi is born from the second one, and the fifth mariachi from the first one. It is with this last mariachi that the Ballet now performs. Susana and Marisol go to Mexico periodically in order to take refreshing courses in Mexican folklore in the main schools of Mexico City, and thus to renew the repertoire. The Group has survived almost 34 years (to 2011). 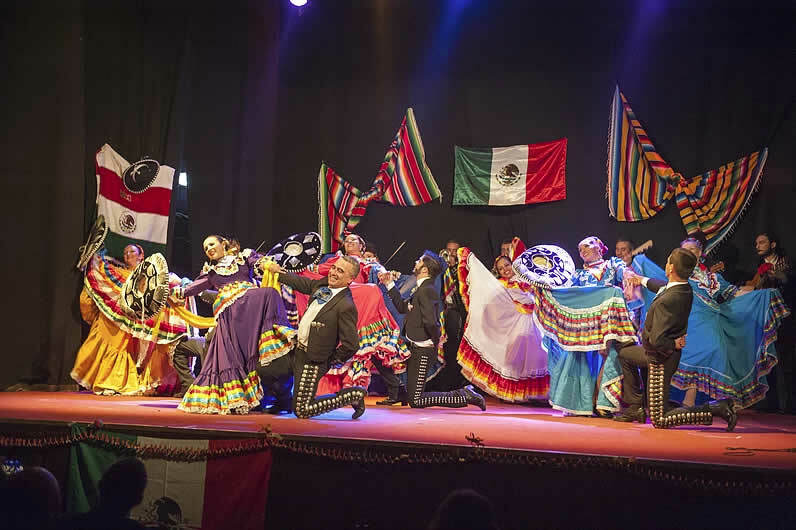 It generated two other Mexican dance groups who operate independently. More than 300 persons of different nationalities have learned Mexican dance with Susana in Rome. There have been moments of joy and moments of sadness, like everything in this life, but Susana doesn’t get discouraged. Her endless ambition to spread the real Mexican folklor out of her country, gives her force to continue with renewed energy. To get to know us better, fill out the online form!